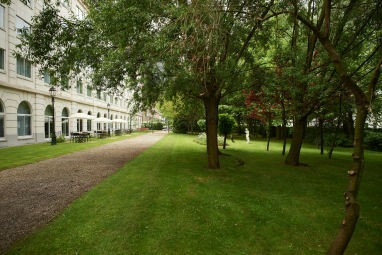 The President Brussels Hotel (4*) is the perfect partner in Brussels to organize your events and group stays with its 296 bedrooms and 3000m² unique private garden. 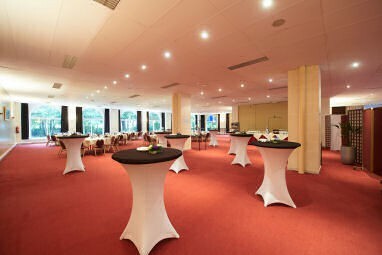 Our 2000m² meeting space are spread over 16 meeting rooms from 585m² to 18m², connected F&B areas and private event entrance. 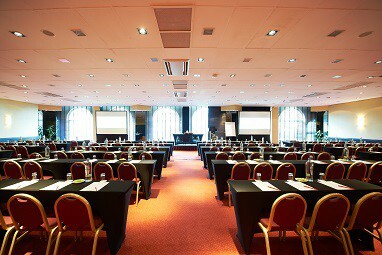 Our biggest plenary can accommodate up to 380 persons in theatre, 250 persons in classroom, 550 persons for a cocktail, 350 persons for a dinner and is ideal for exhibitions. Our guests can also benefit from high speed wifi, a breakfast restaurant, a bar and a restaurant with a garden view and a terrace, a fitness center on the roof top and a private parking. When arriving via public transport, the Brussels North train station is only 500m away with international connections, a direct train to/from the airport and a metro/tram stop going straight to the city centre. 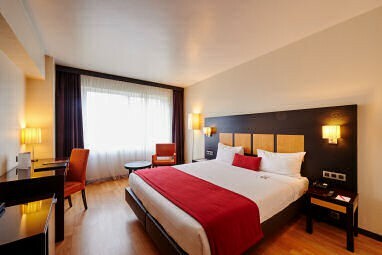 We are also easily accessible by car (20 minutes to the airport and to the highway) and close to famous convention centres like Tour & Taxis, Square and Brussels Expo. 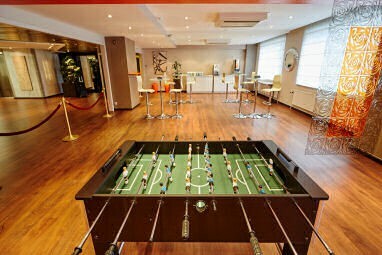 The President Brussels Hotels presents different styles of accommodation to suit every taste. All 296 rooms and suites are spacious and lighten, reflecting the welcoming atmosphere of the hotel. The wooden floors provide a comfortable feeling to the rooms, complementing the warm colours of the wooden furniture and the soft furnishings. Start your day in Brussels with a magnificent, full American buffet breakfast in our restaurant, with a view of our private garden. This restaurant is open every day from 06h30 until 10h30 (weekends and public holidays from 07h00 until 12h00) and is available for stylish private functions up to 120 guests. 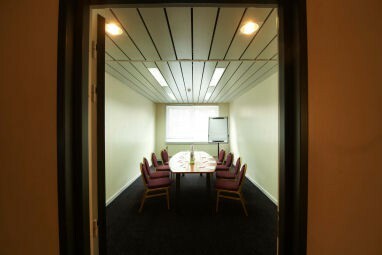 The Husa President Hotel provides 16 meeting rooms from all sizes, most of them with daylight, and a few with a direct access to garden (Woluwe & Etterbeek). 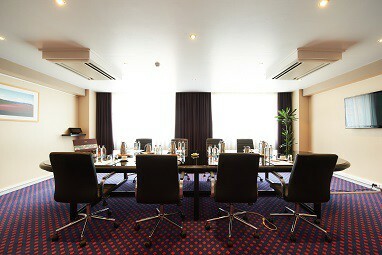 We are able to put some cars or heavy materials through a street access directly to these 2 meeting rooms. Almost all of our room can be set up upon your request & needs. 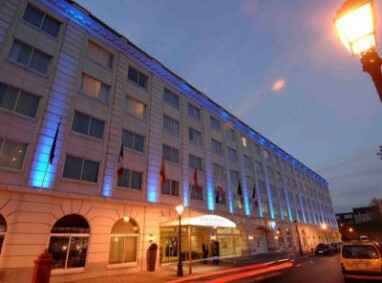 The Husa President Park Hotel is located in the North of Brussels city centre, in the ´´new manhattan area´´. Easily accessible from the airport thanks to the North Station, which is the first for all travellers coming from the Airport with train. The North Station is also at two stop from Brussels Midi, where all arrivals and departures of International trains take place (Thalys, Eurostar, etc). Close from the business area and shopping area, our hotel is not surrounded by traffic and there is no need to cross the new pedetrian area in Brussels to reach our hotel by car. We are also very close from ´´the ring´´ and national roads leading to Brussels Expo & Other Belgian cities. You can go walking from the hotel to the Grand Place in around 20min. The hotel offers 40 parking spaces for EUR 20,00 per day each.